RIO DE JANEIRO (Reuters) – Protesters are expected to flood more than 100 Brazilian cities and surround two international soccer matches later on Thursday, as lower transport fares and promises of better public services fail to stem the tide of discontent in Latin America’s biggest country. After more than a week of the largest protests here in over two decades, demonstrators show no signs of letting up. 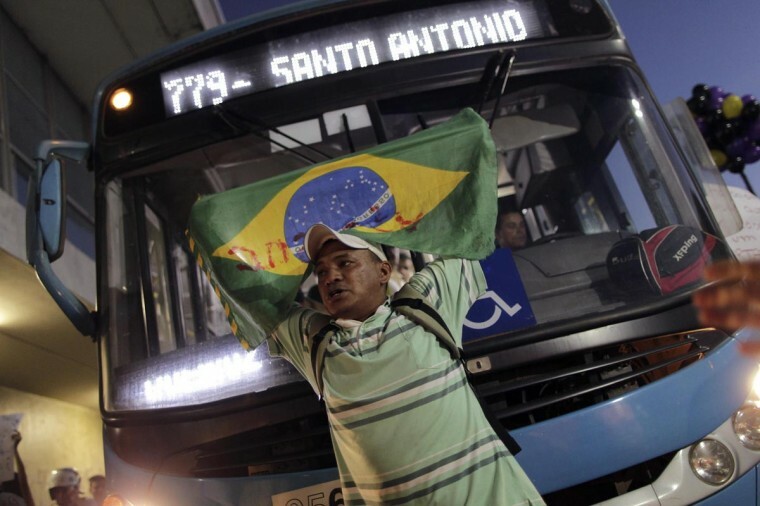 Though the transport fare hikes that sparked the unrest were rescinded in Brazil’s two biggest cities on Wednesday, demonstrators by the hundreds of thousands promised to take to the streets in locales as diverse as the Amazon capital of Manaus to the prosperous southern city of Florianopolis. 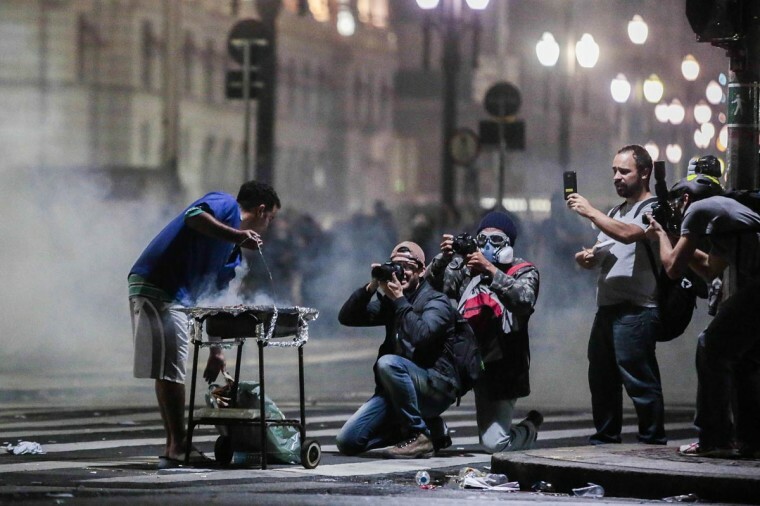 The persistence of the protests reflects what has become a generalized host of complaints about high taxes, inflation, corruption and poor public services, from hospitals and schools to roads and police forces. 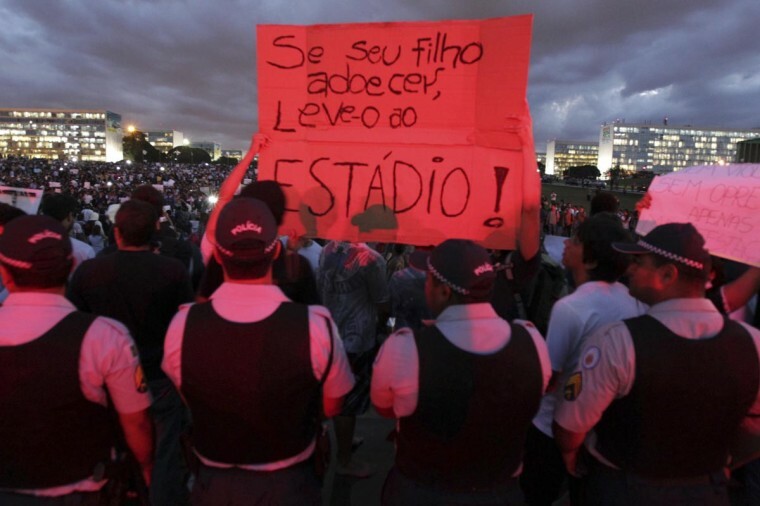 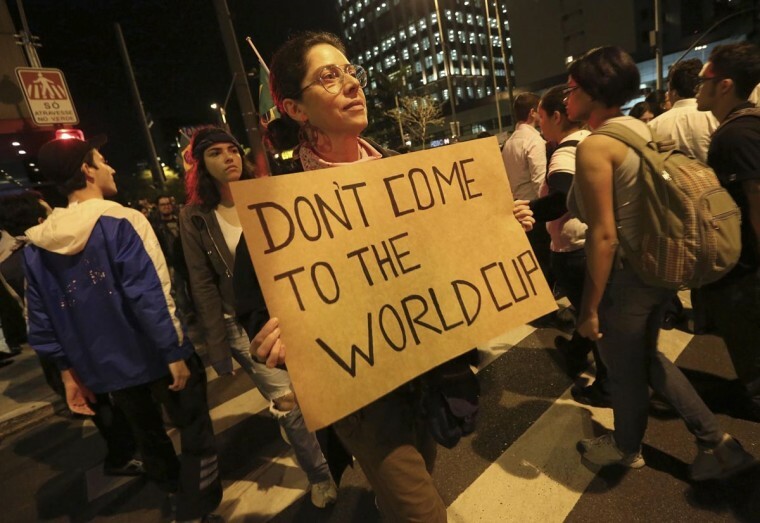 Using an ongoing international soccer tournament as a backdrop, they are also denouncing the more than $26 billion of public money that will be spent on the 2014 World Cup and 2016 Olympics, two events meant to showcase a modern, developed Brazil. 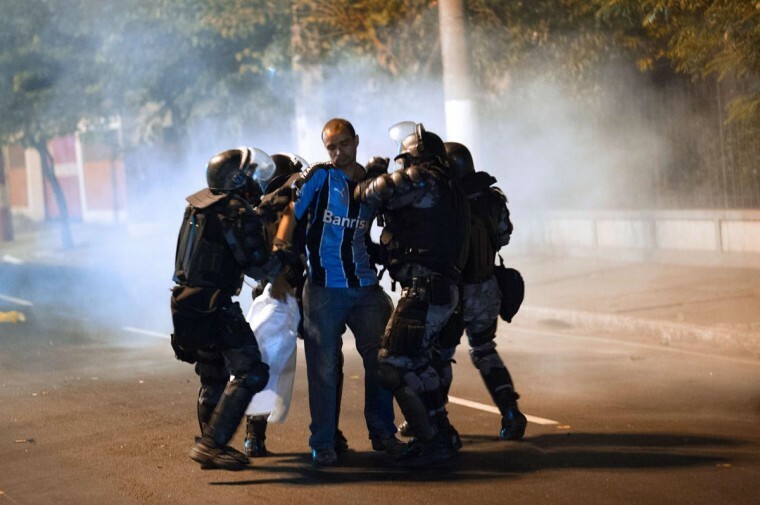 Big demonstrations are expected in Rio de Janeiro and the northeastern city of Salvador around games of the Confederations Cup, a test run before next year’s World Cup. 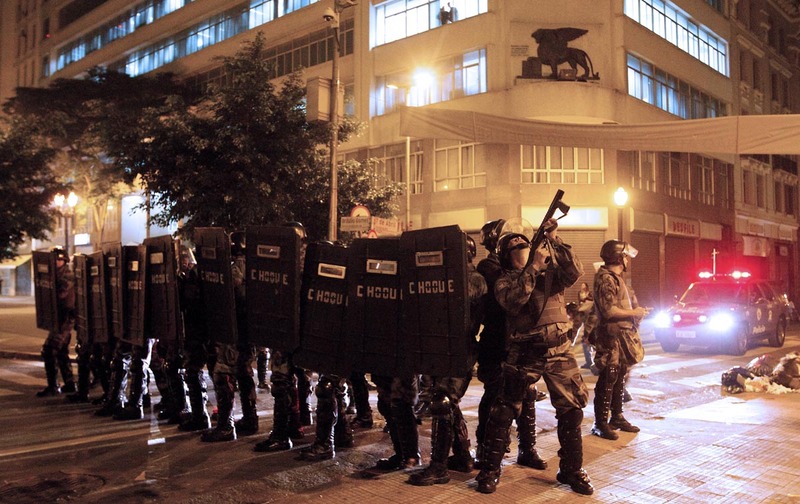 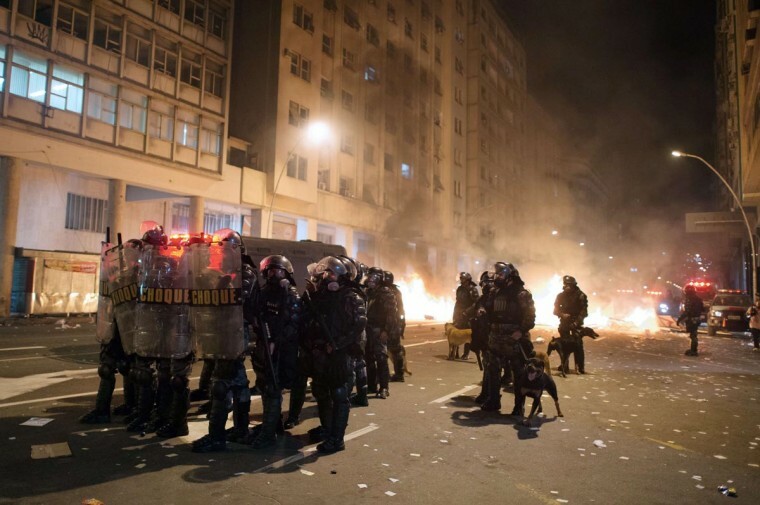 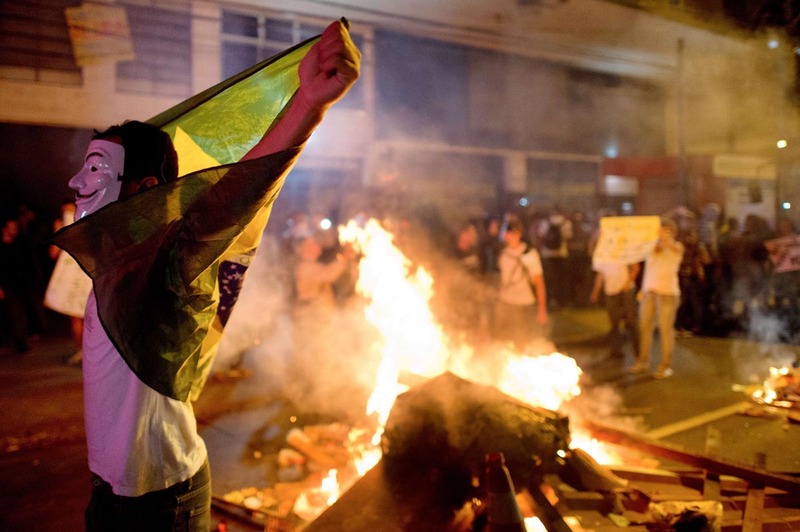 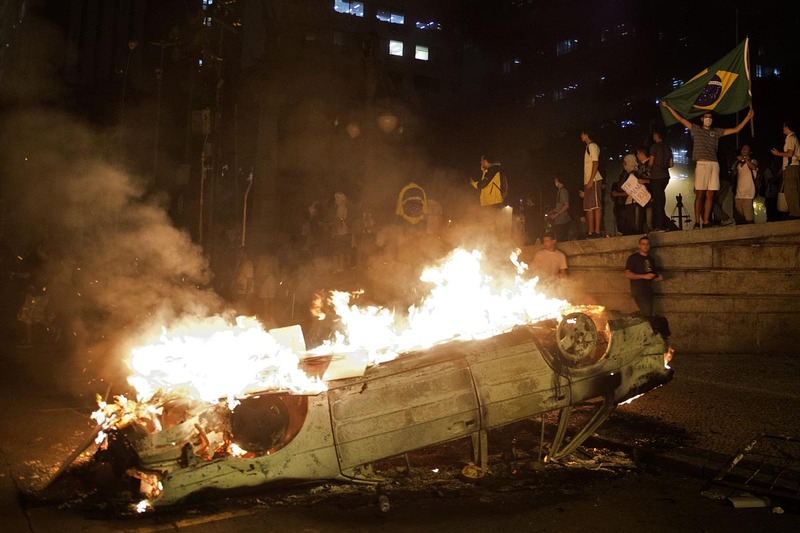 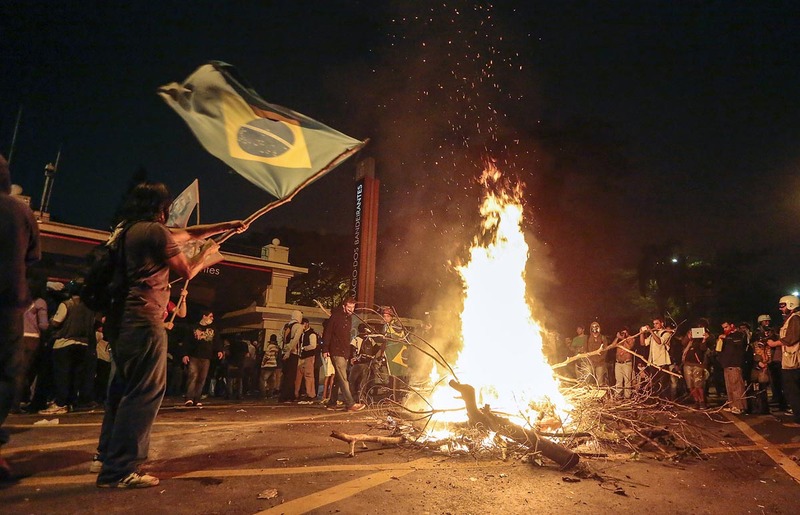 The unrest comes as Brazil, after nearly a decade-long economic boom in which the country’s profile soared on the global stage, enters a period of uncertainty. 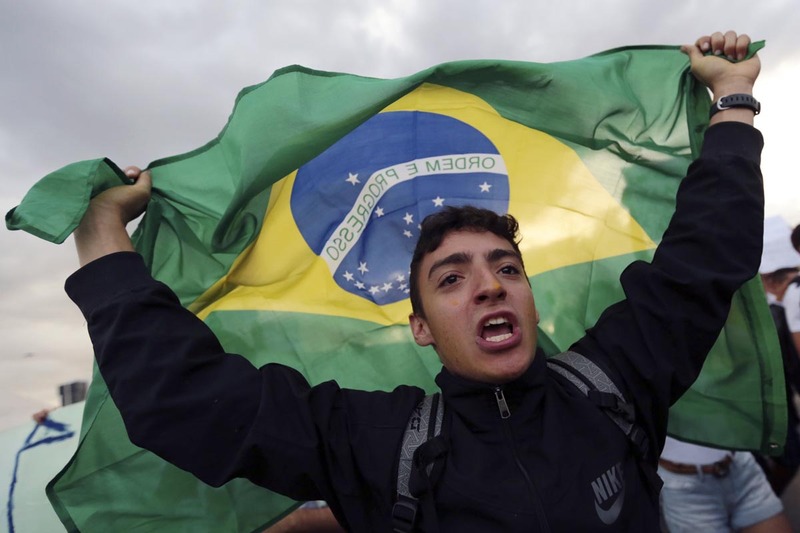 Economic growth of less than one percent a year, annual inflation of 6.5 percent and a loss of appetite for Brazilian assets among international investors have quickly deflated what had been a feel-good era for Brazil. 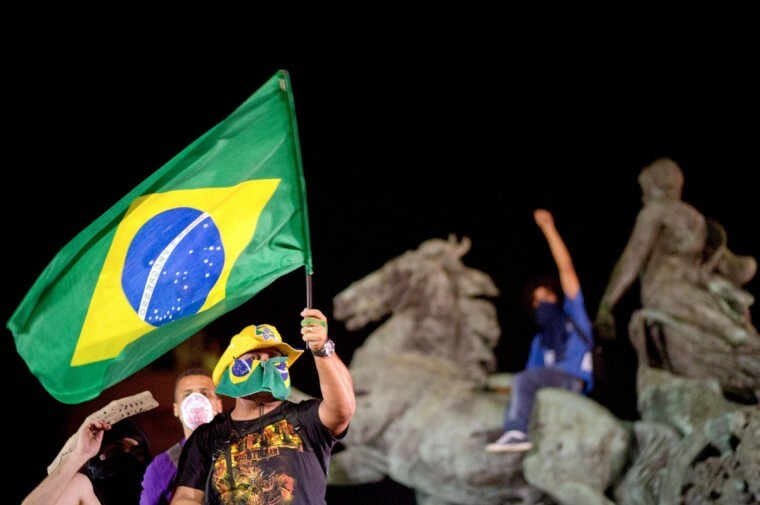 Brazil’s currency, the real, dropped to a four-year low on Thursday, trading as weak as 2.275 per U.S. dollar. 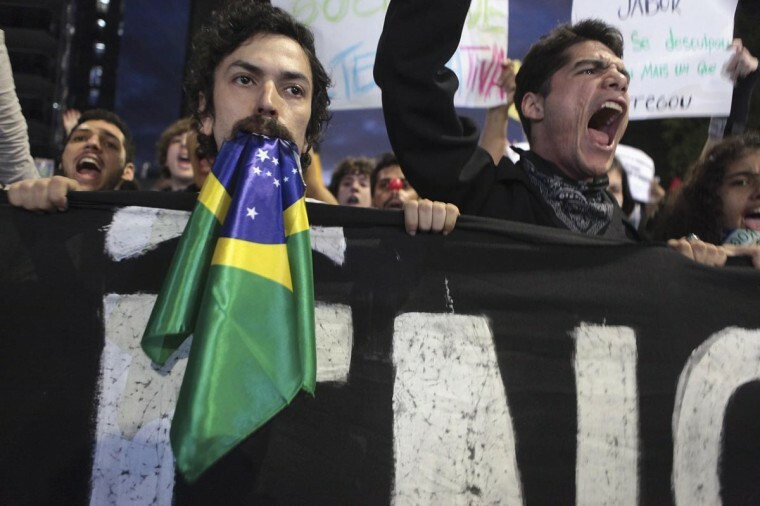 The country’s benchmark stock market index, the Bovespa, also hit a four-year low. 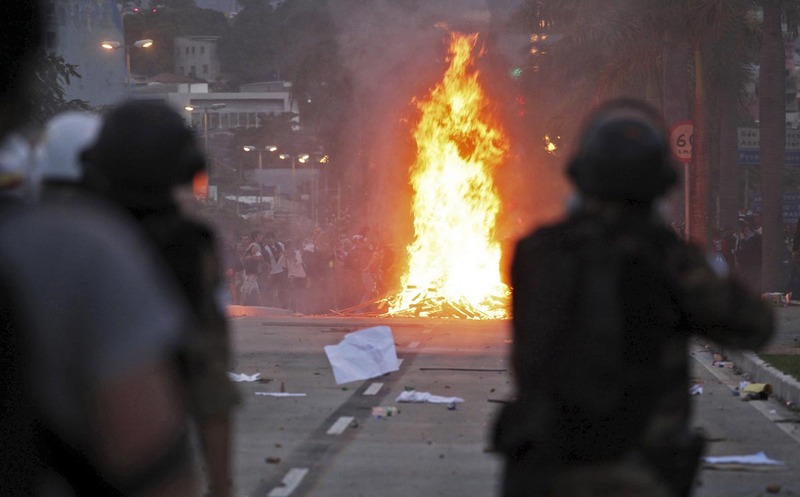 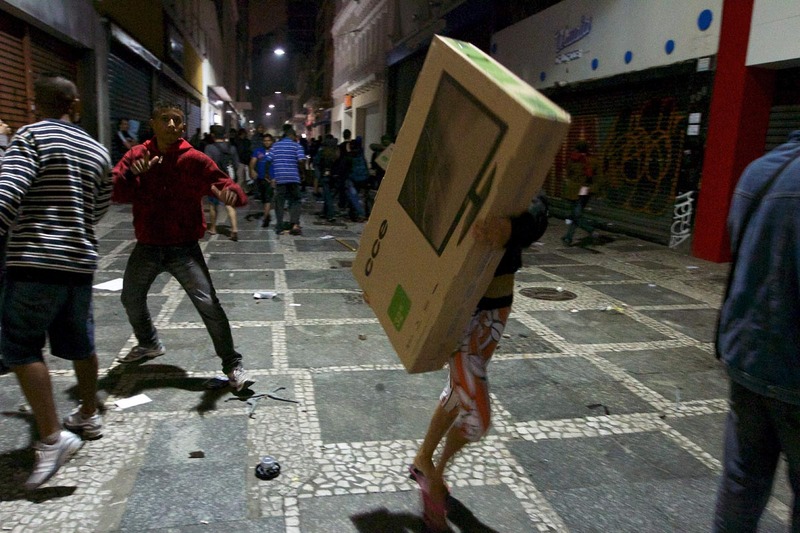 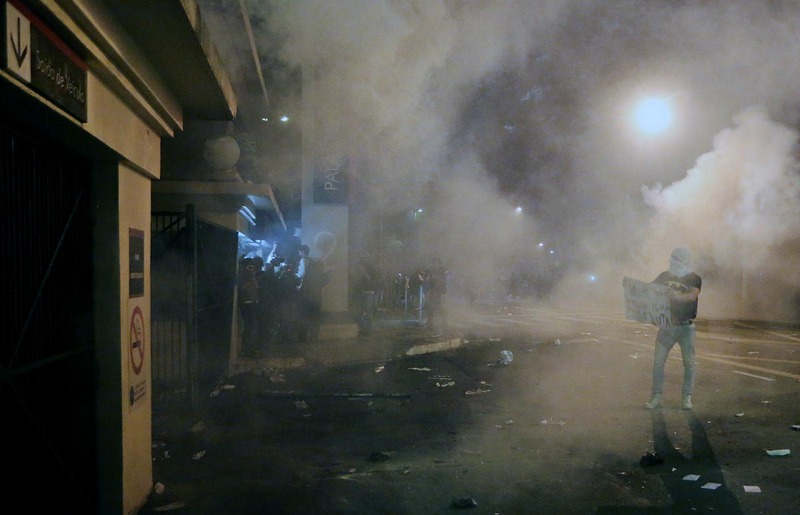 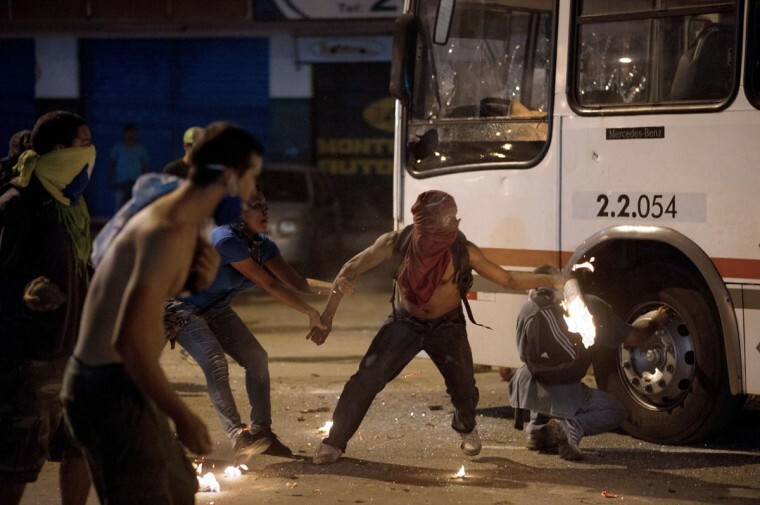 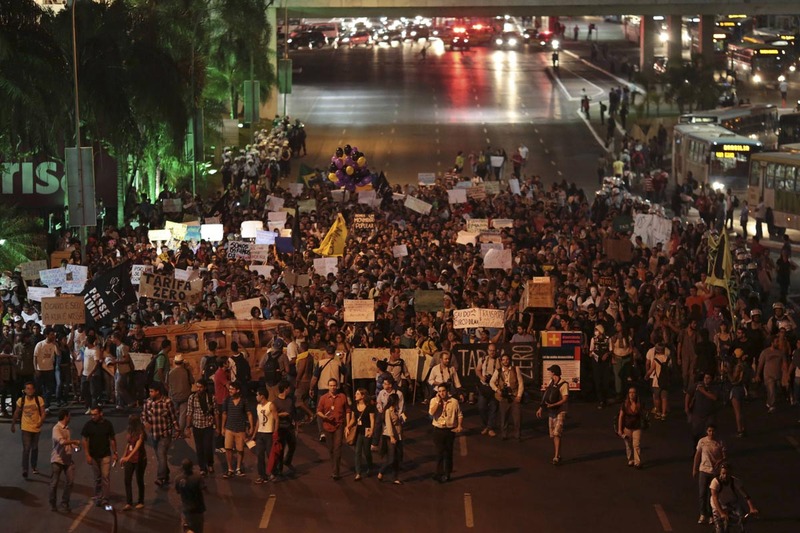 Protests are nothing new in Latin America. 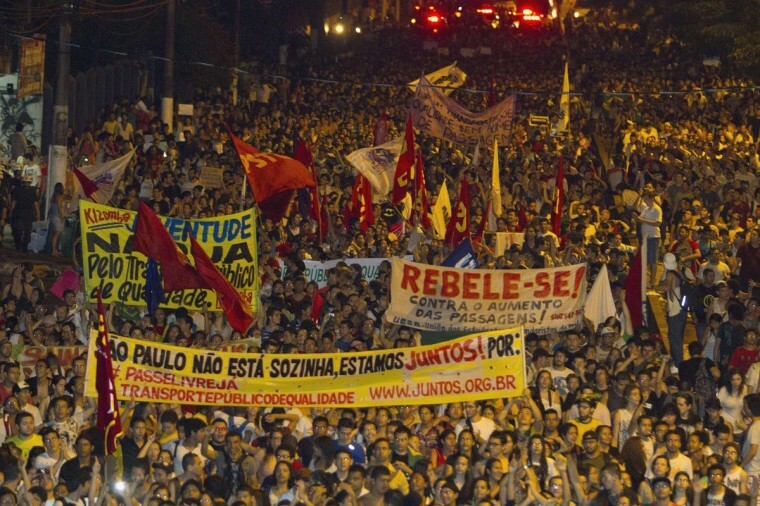 Brazil’s ruling Workers’ Party itself has its roots in convulsive demonstrations by the country’s labor movement 30 years ago. 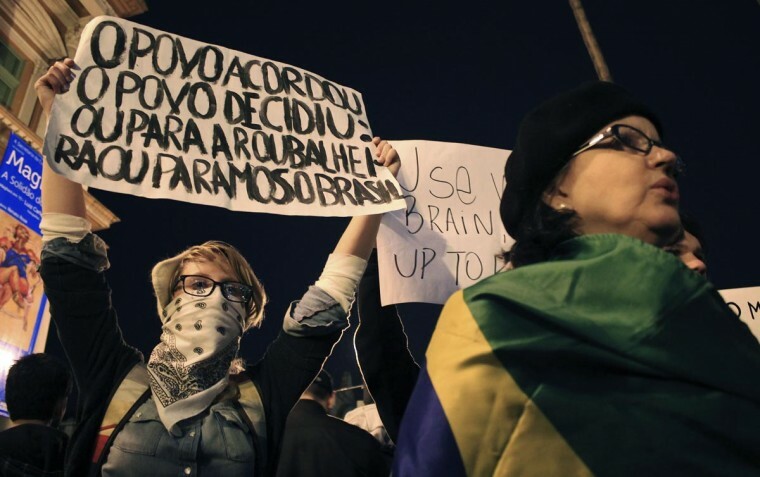 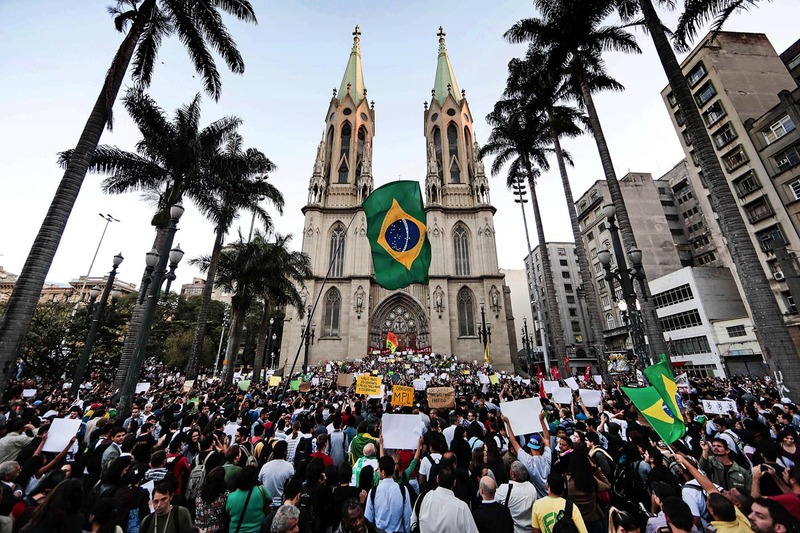 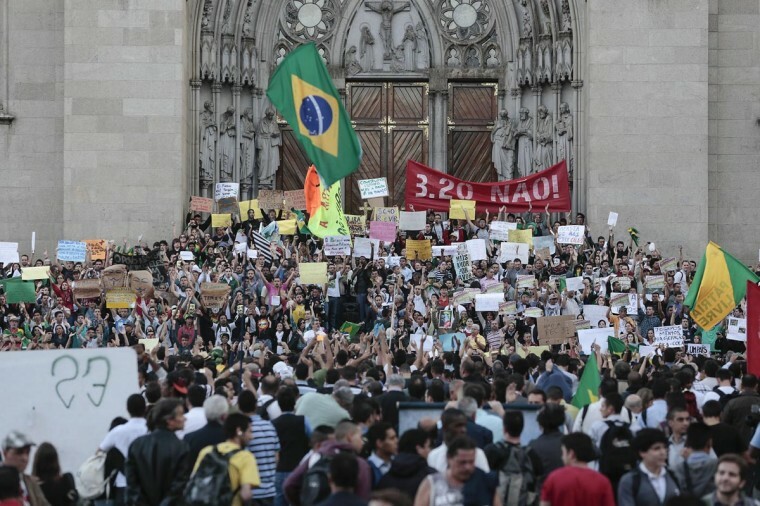 And the ongoing demonstrations, which have been mostly non-violent, are made up primarily of middle-class, well-educated Brazilians who are not the bulk of the electoral base for President Dilma Rousseff. 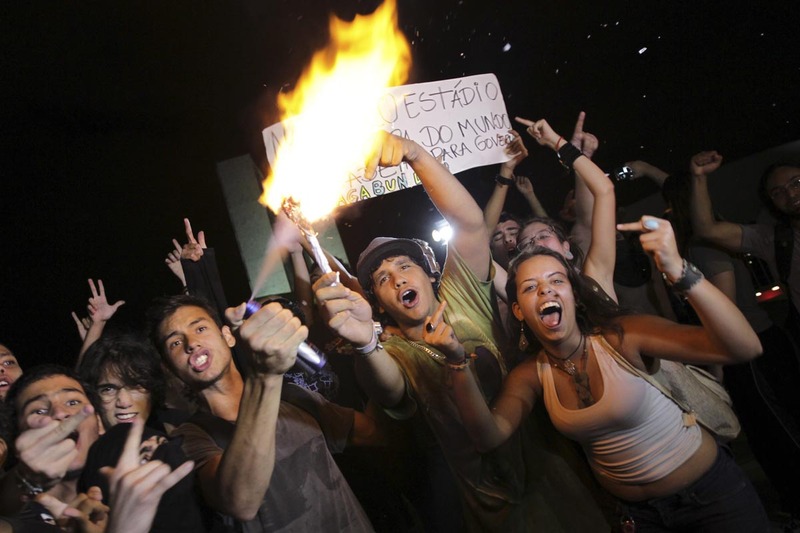 Still, the protests have shaken the once-solid ground under Rousseff, whose approval ratings were among the highest of any leader worldwide until inflation and other economic woes began eroding her poll numbers in recent weeks. 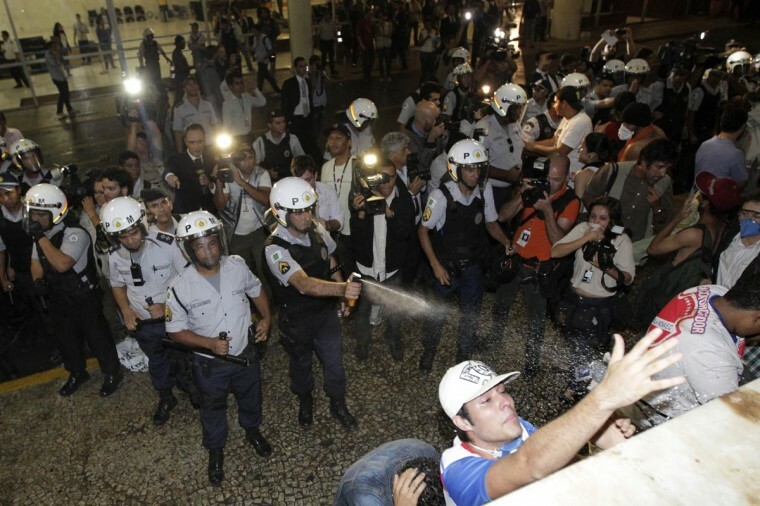 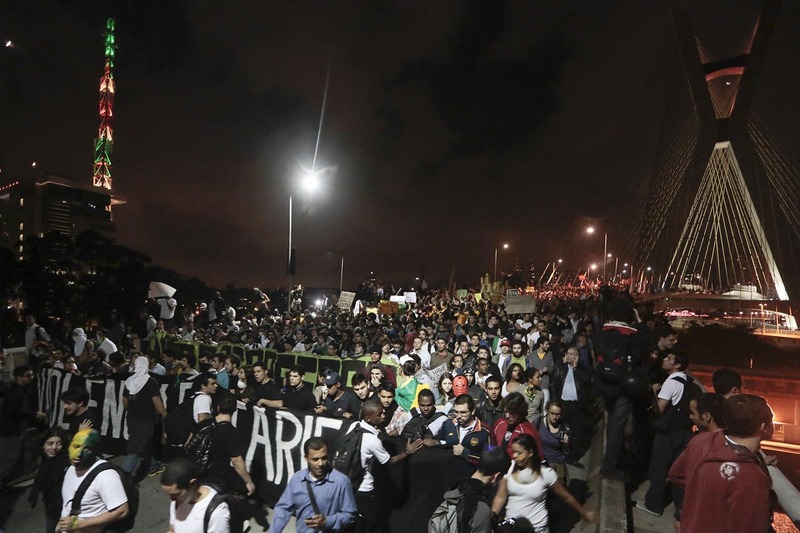 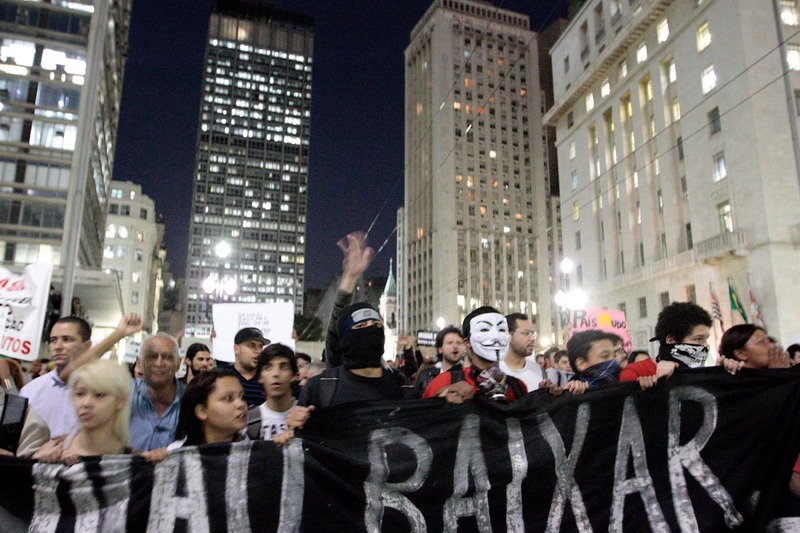 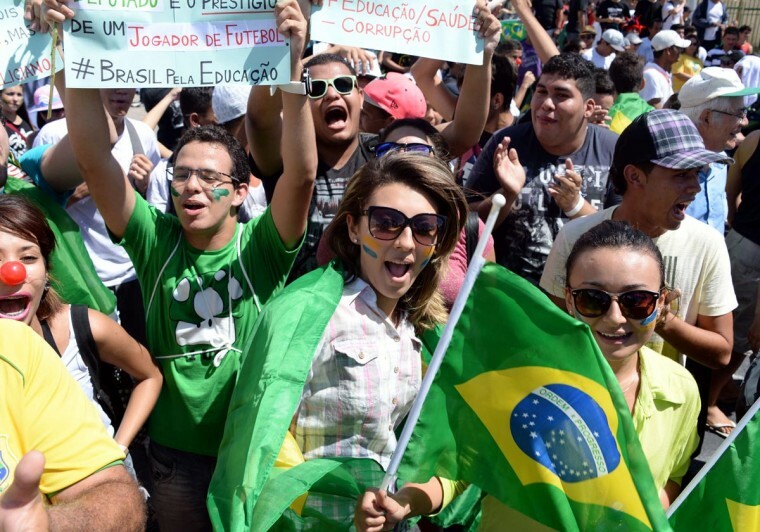 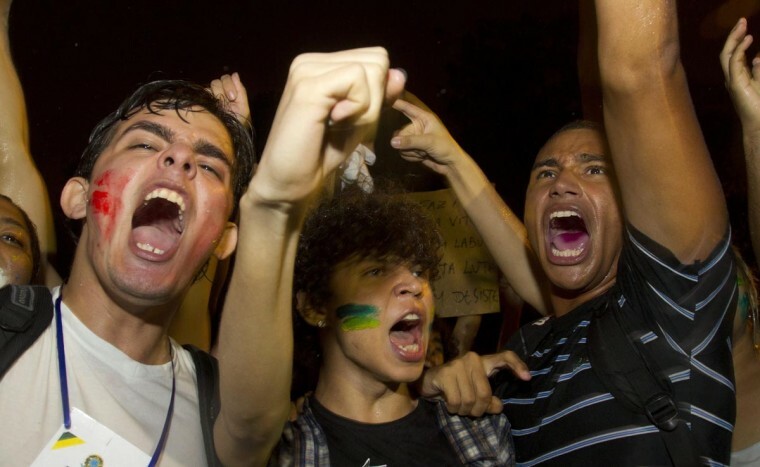 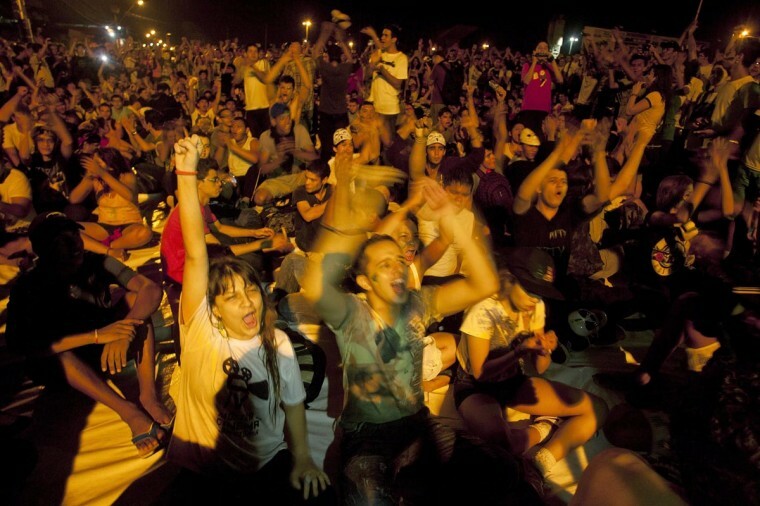 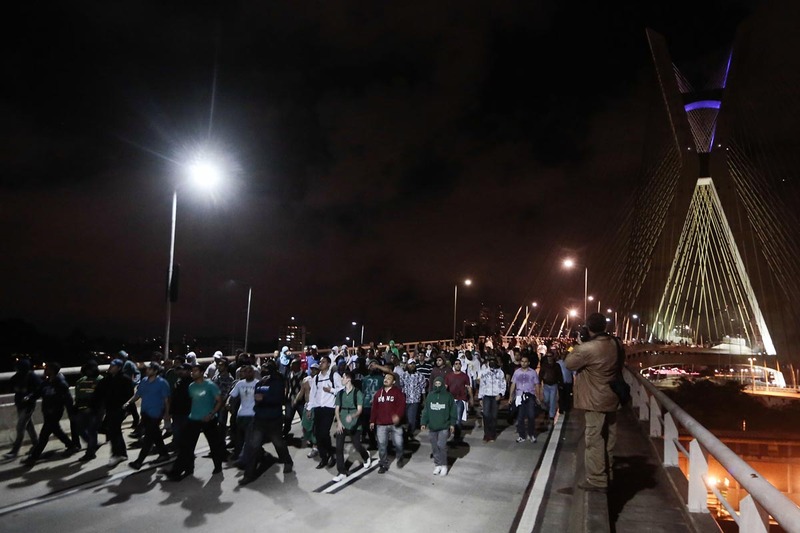 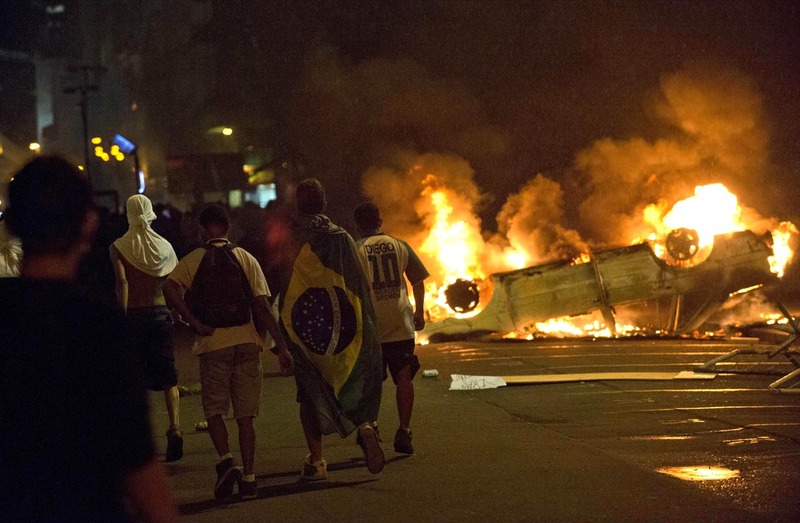 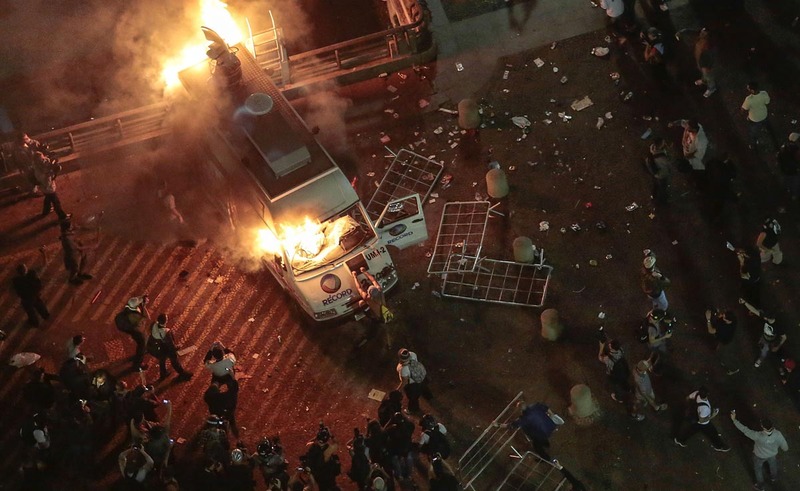 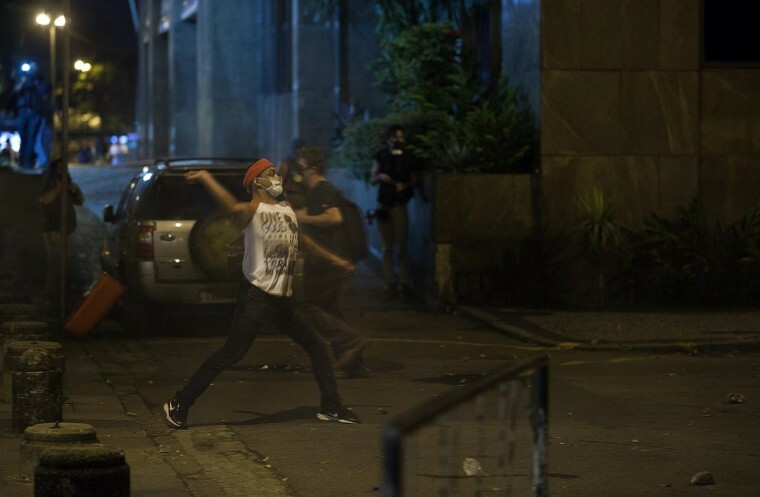 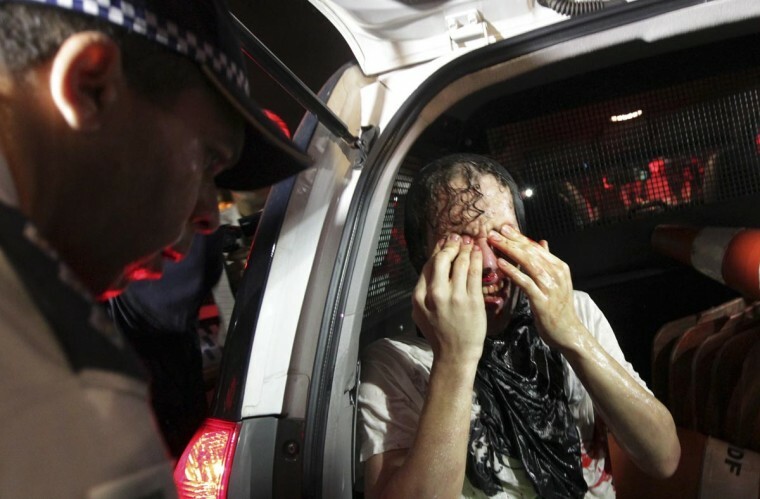 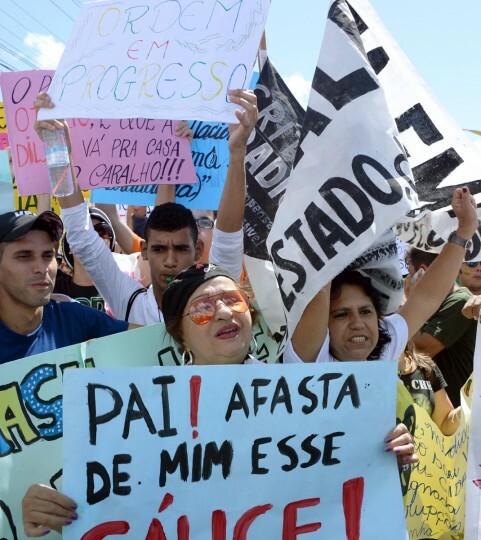 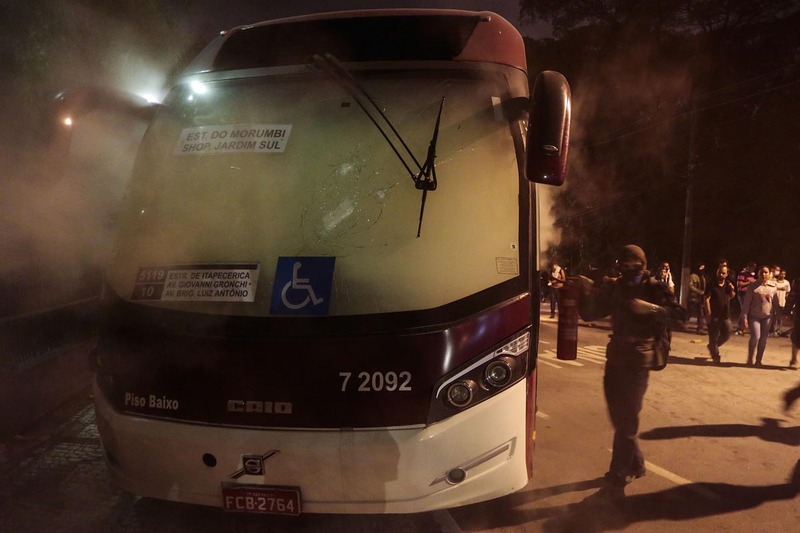 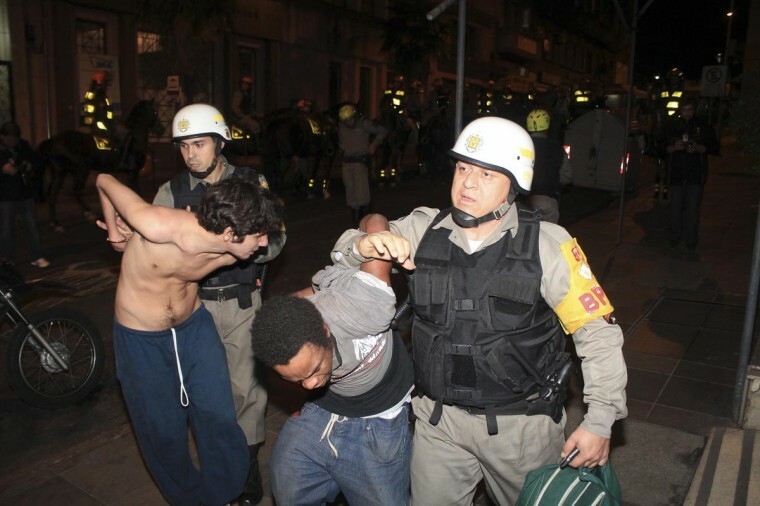 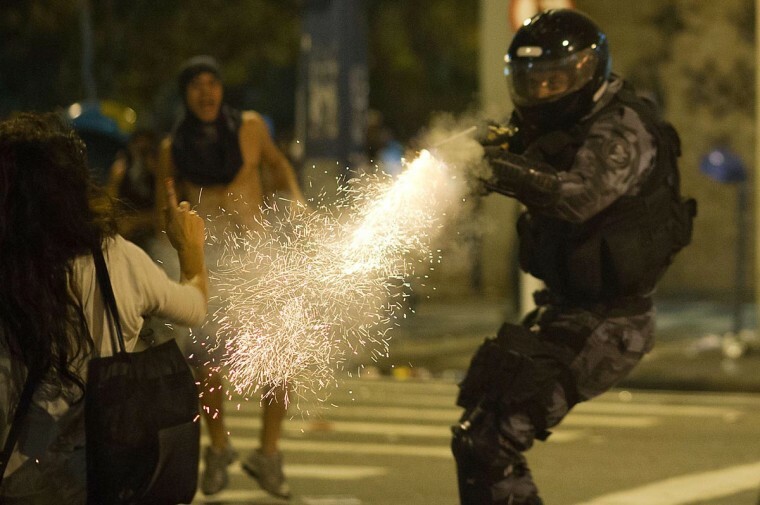 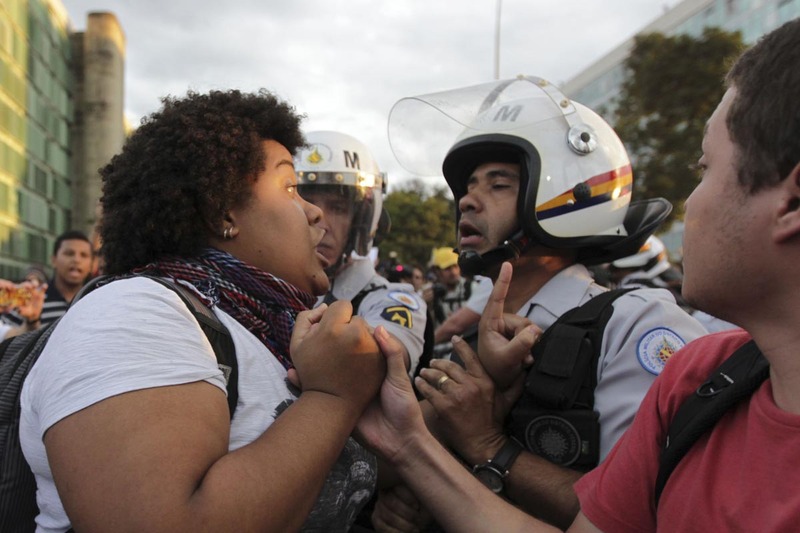 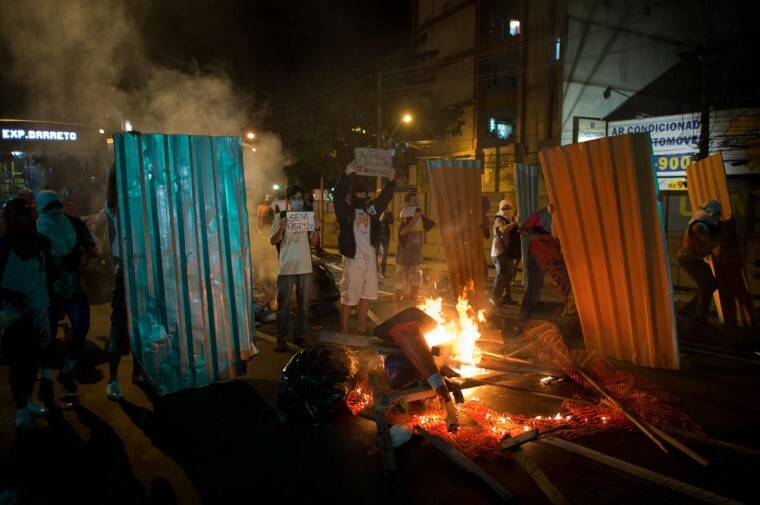 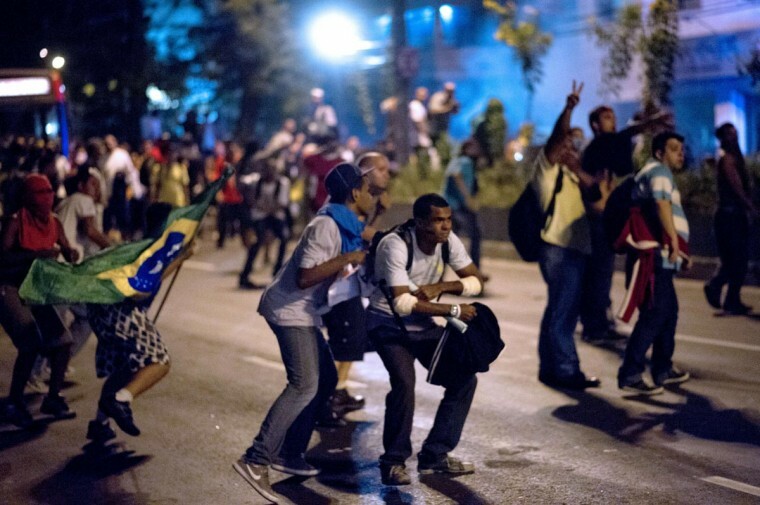 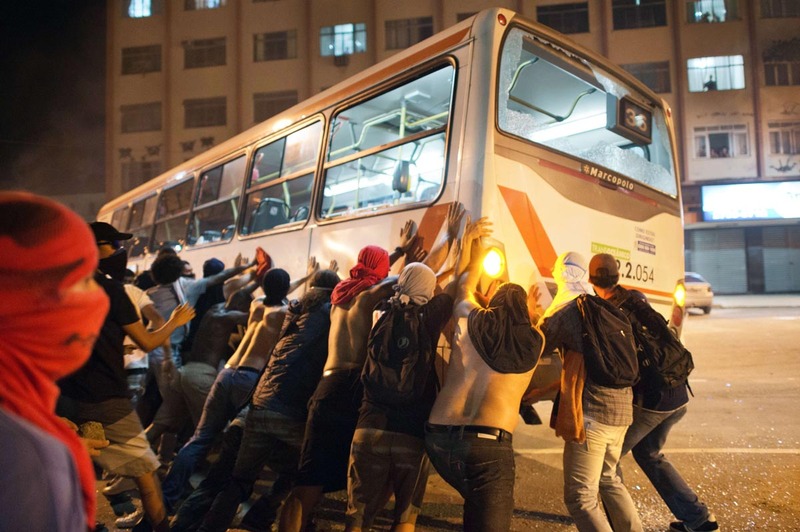 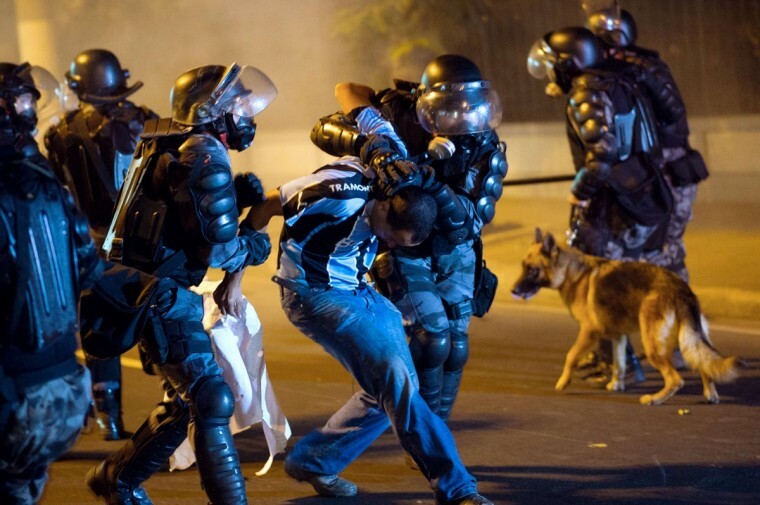 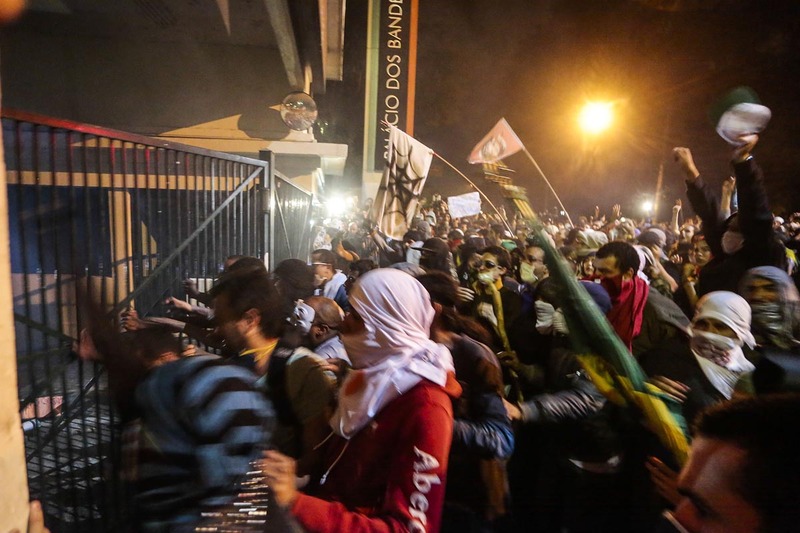 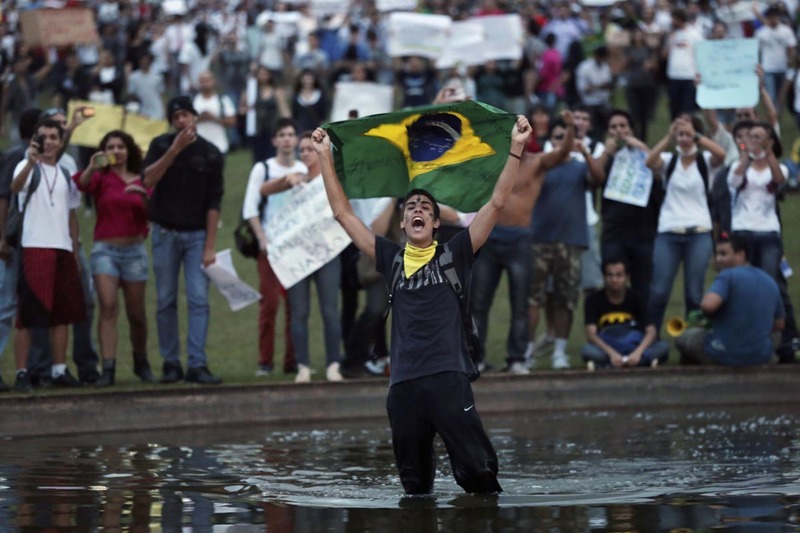 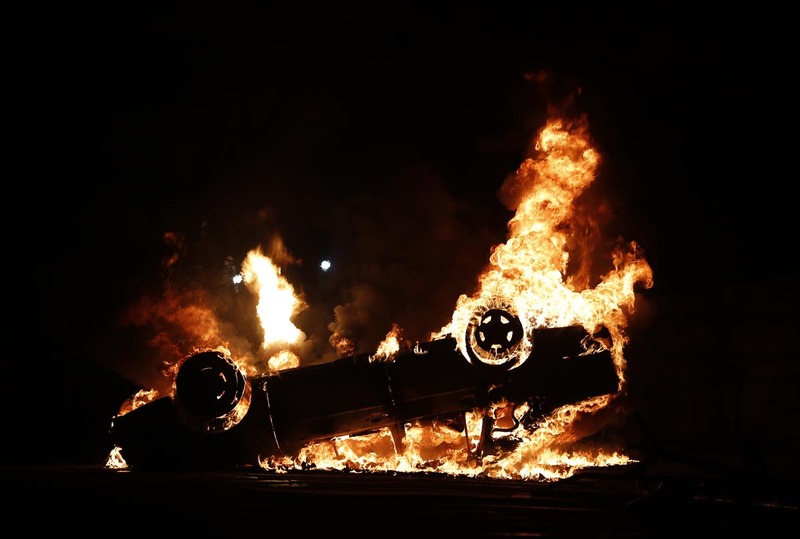 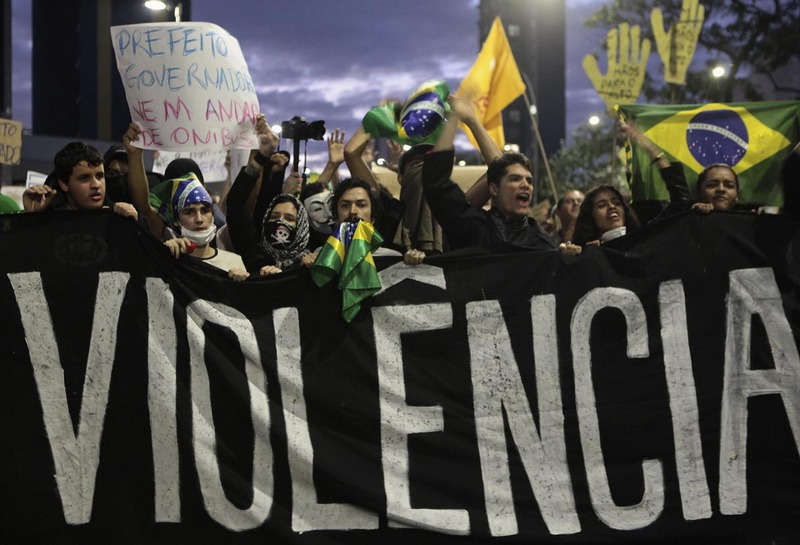 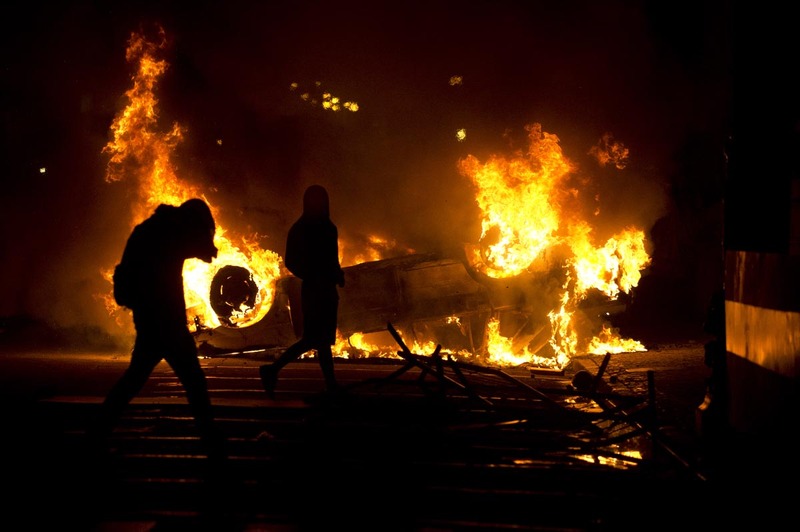 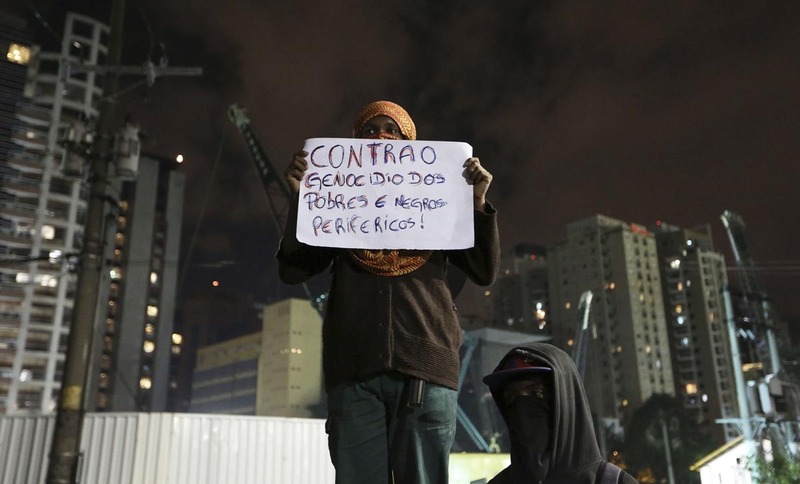 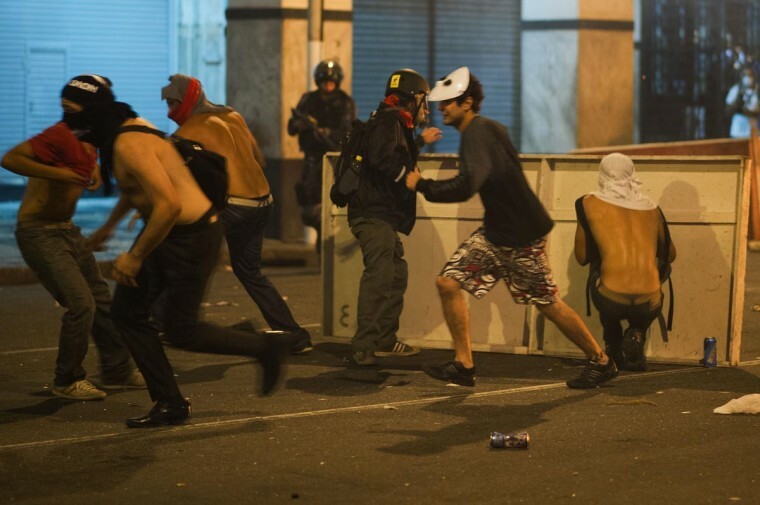 Rousseff and the party have praised the demonstrations and embraced their pleas as their own. 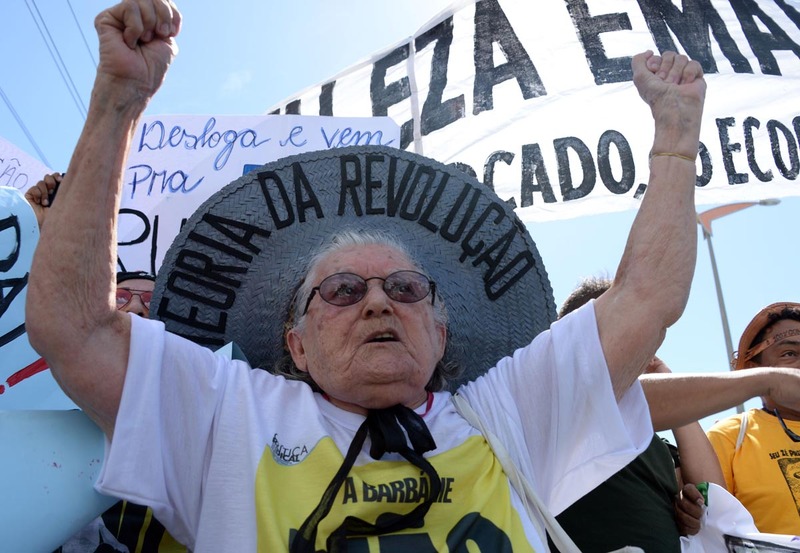 Until recently, though, her play book relied on telling Brazilians that they had never had it so good. 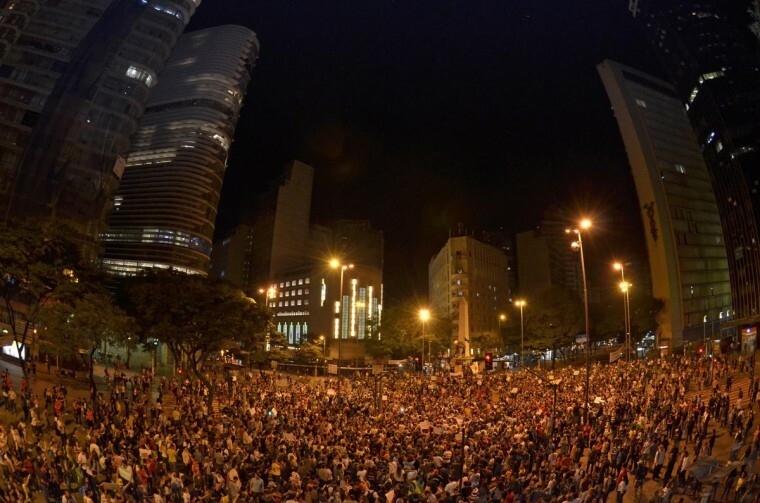 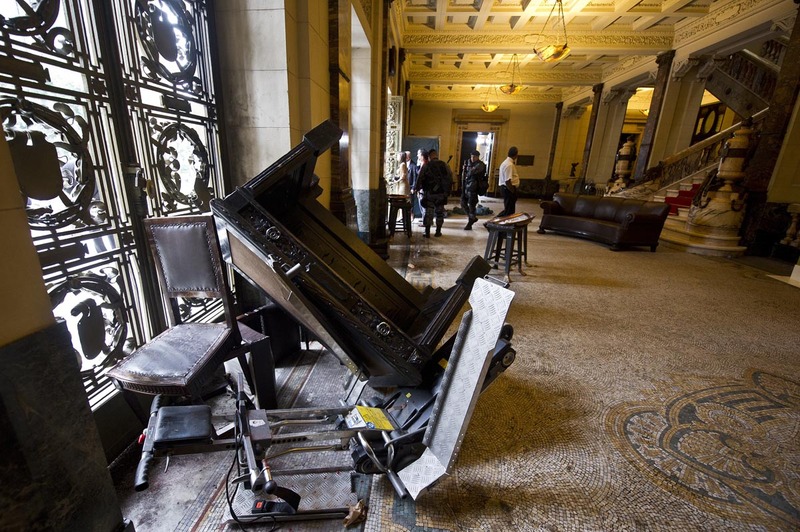 Yet protesters, until now a disparate and localized collective of organizers herding the throngs through social media, would have to evolve and consolidate before they become an electoral force in themselves. 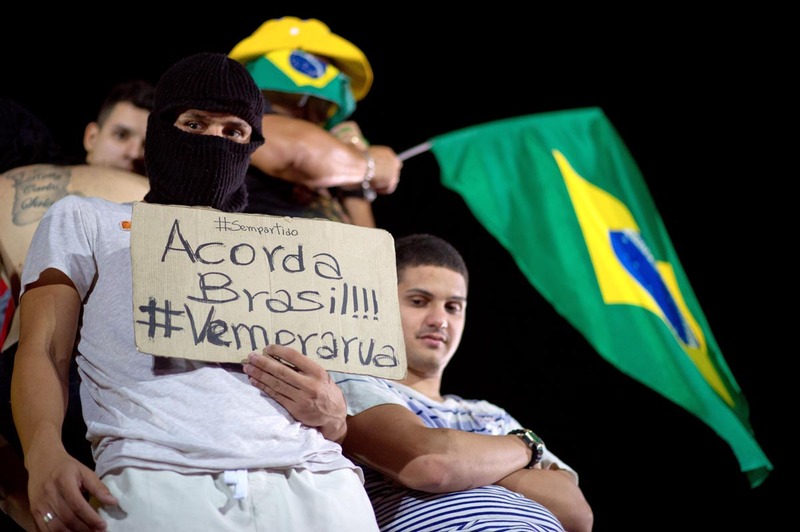 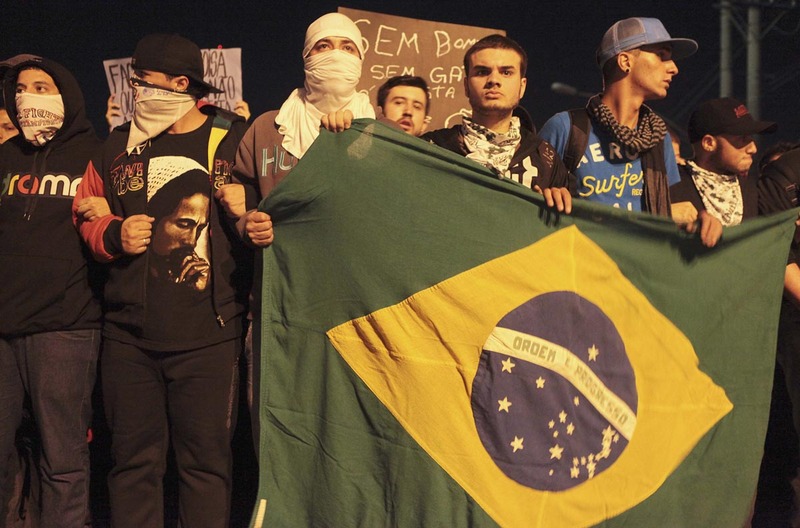 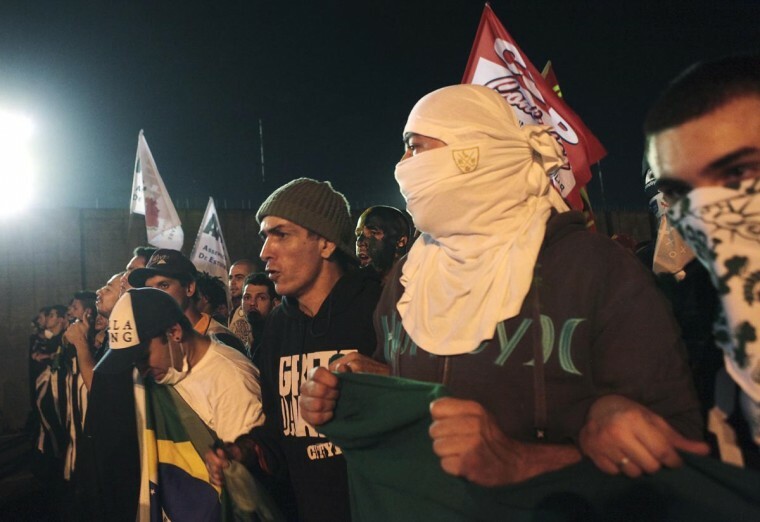 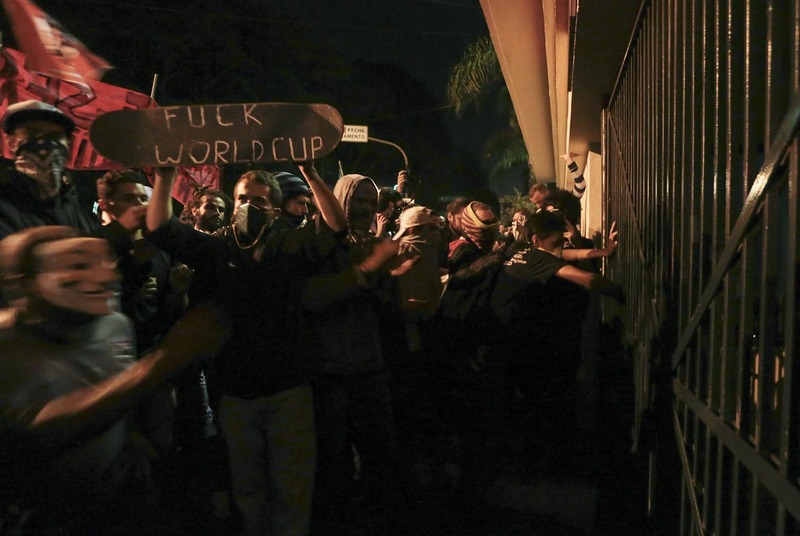 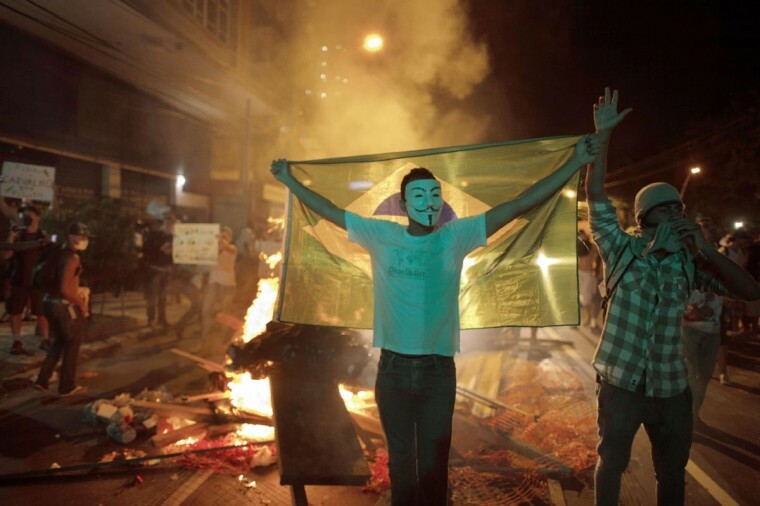 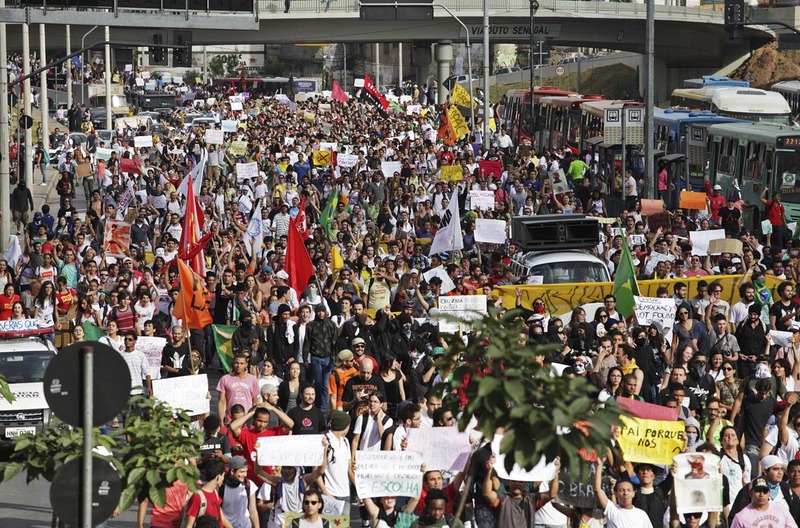 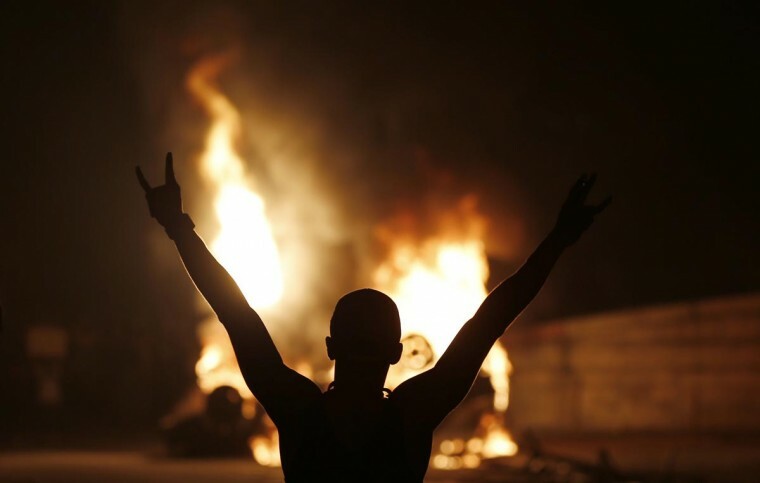 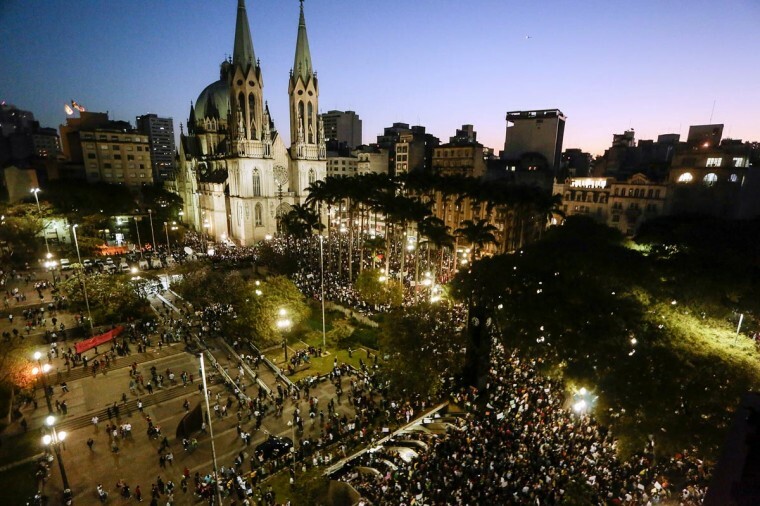 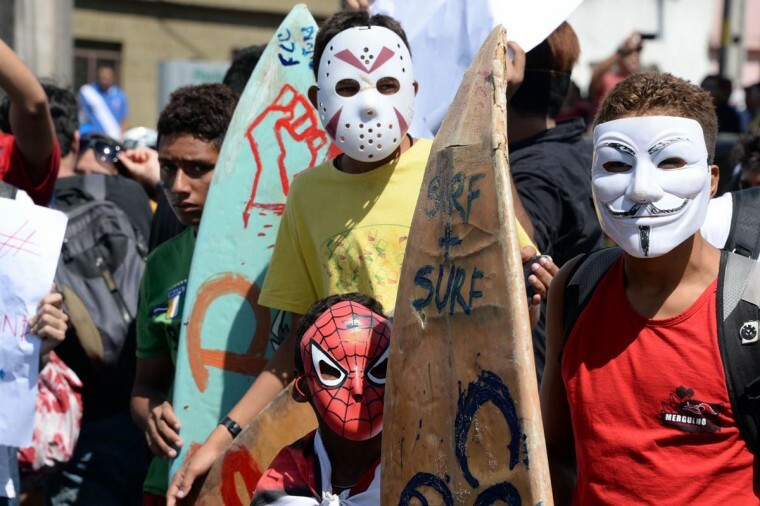 Unlike the protests of the Arab Spring, or the more recent unrest in Turkey, the demonstrations in Brazil aren’t directed at any one political party or a single politician. 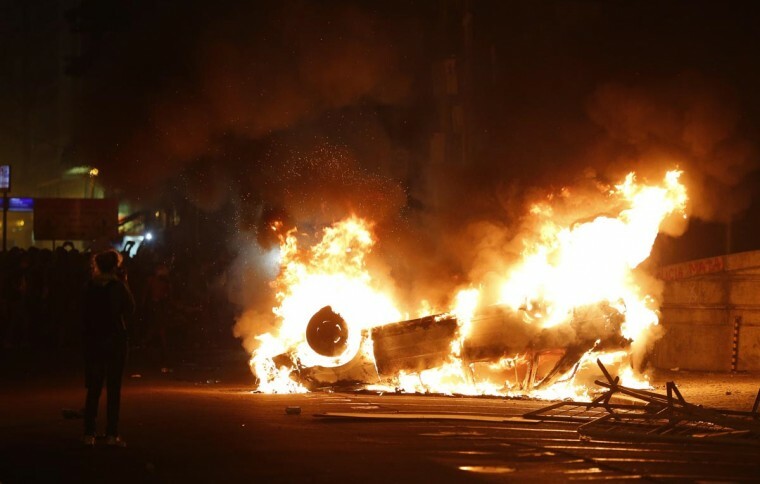 The grab-bag nature of their causes, and wholesale rejection of the political class, gives them few traditional vehicles to upend the established order.